In 1973, Maggie Beer and husband Colin settled in the Barossa Valley, with the intention of breeding game birds. The establishment of their farm and vineyard led to the legendary Pheasant Farm Restaurant, long gone but part of the food history of South Australia as the restaurant became highly acclaimed and was, in 1991, awarded the Remy Martin Cognac – Australian Gourmet Traveller Restaurant of the Year award. With the closure of the restaurant in 1993, Maggie was free to pursue new directions, and in 1996 the Production Kitchen in Tanunda was opened. These days, her career spans farming, food production, as well as television presenting and food writing. Maggie’s appearance on the hit ABC programme The Cook & The Chef cemented her place as one of Australia’s most well known food personalities, and her line of products is a much loved range for Australian gourmets. In 2013, Maggie received a Doctor of Business honoris causa from Macquarie University. In 2014, Maggie was thrilled to find herself starring on a postage stamp as one of the winners of the Australia Post Australian Legends Award. Australia Post initiated the award in 1997 to honour living Australians who have made a unique contribution to our way of life, inspired the community and influenced the way Australians think about themselves and their country. Her appearances on television have been numerous, with the most notable being her involvement with MasterChef Australia, setting new ratings records for the episodes she featured in. Maggie’s latest television venture sees her join Matt Moran as co-hosts of The Great Australian Bake Off. 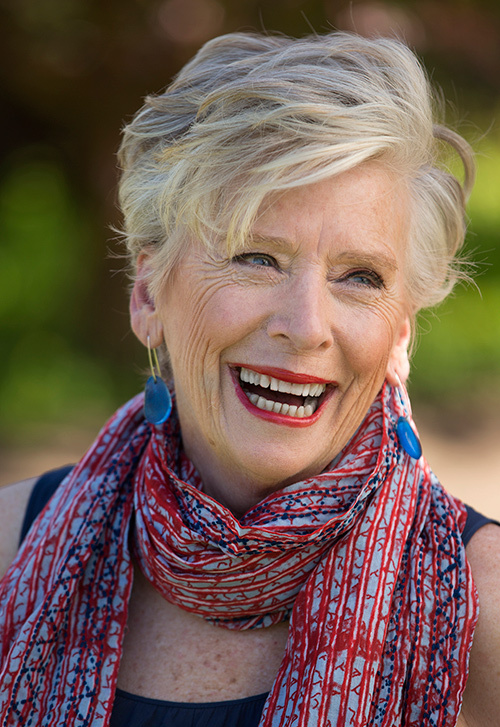 Adding an extra string to her bow, in 2014 Maggie established her own foundation; Maggie Beer Foundation, to provide the pleasure of a good food life for all, regardless of age or health restrictions. The nutritional welfare of those in aged care facilities has been an ongoing concern of Maggie’s for a long time and she is so happy to finally have found the time and people to support her passion. In fellowship with her board of industry leaders, professors and health advisors, Maggie has made it her personal mission to link the latest research of nutrition’s impact on brain health and general wellbeing, with her innate knowledge of what good food can do for everyone’s state of mind; a truly nourishing mix, so much greater than the sum of its parts.